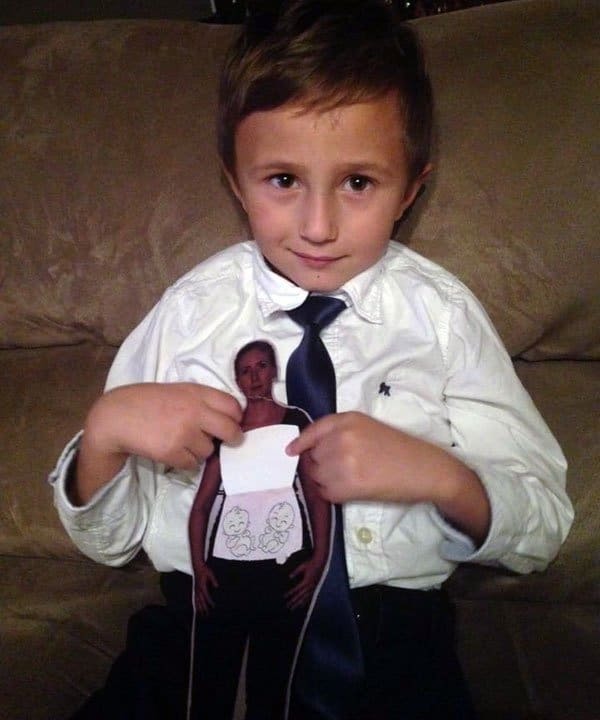 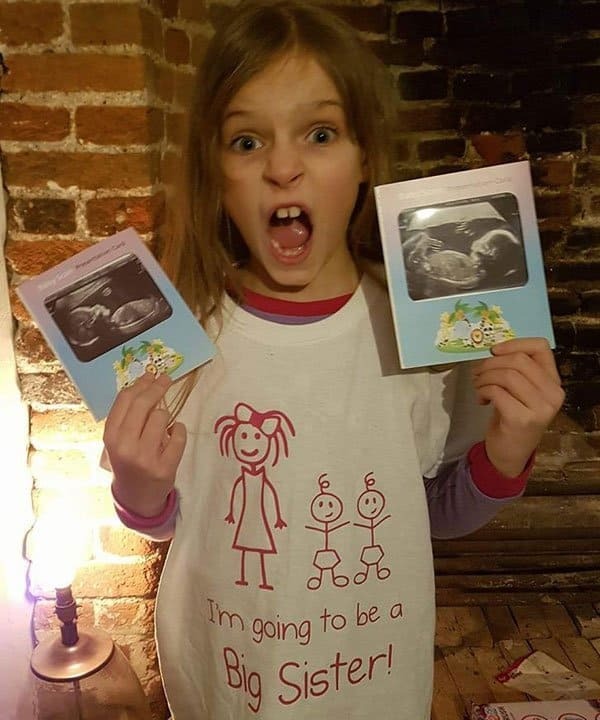 There are many different ways of letting the world know about your twin pregnancy. 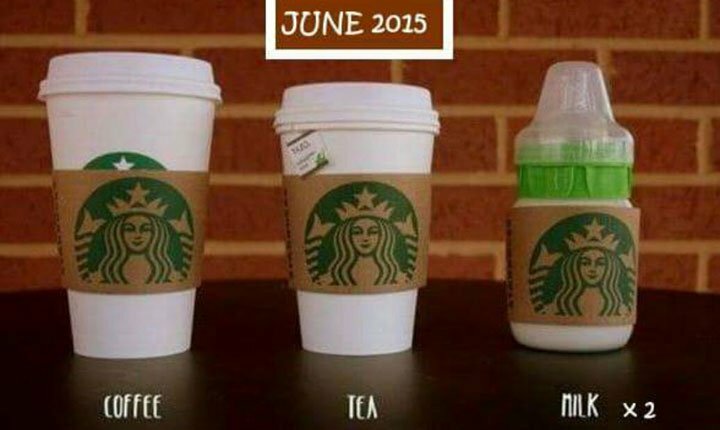 Take a look at these cute and funny twin pregnancy announcement ideas. 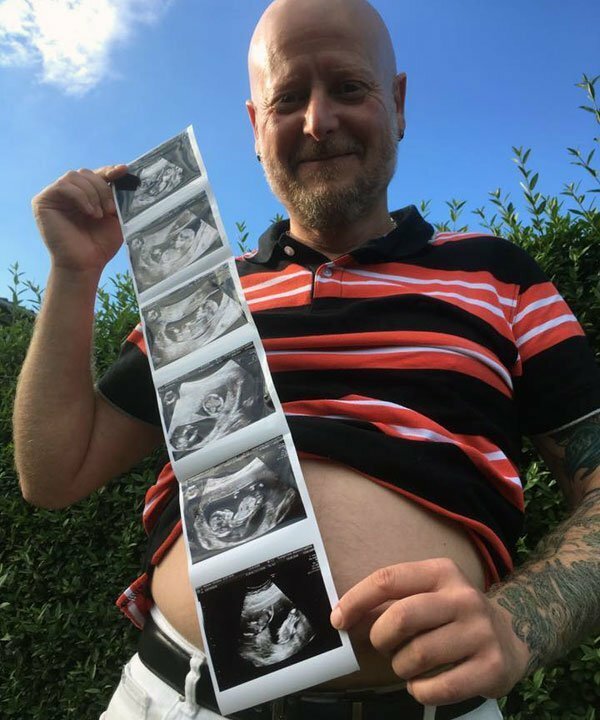 There are many different ways of doing a twin pregnancy announcement. 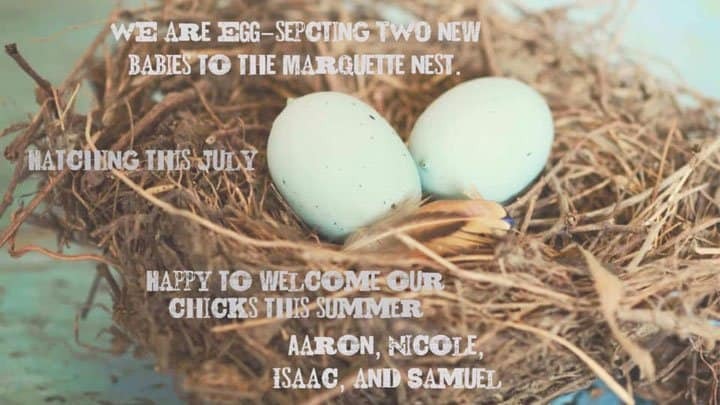 Some choose to do a twin pregnancy announcement by making a poem or quote, others make announcements with siblings, their partner or pets. 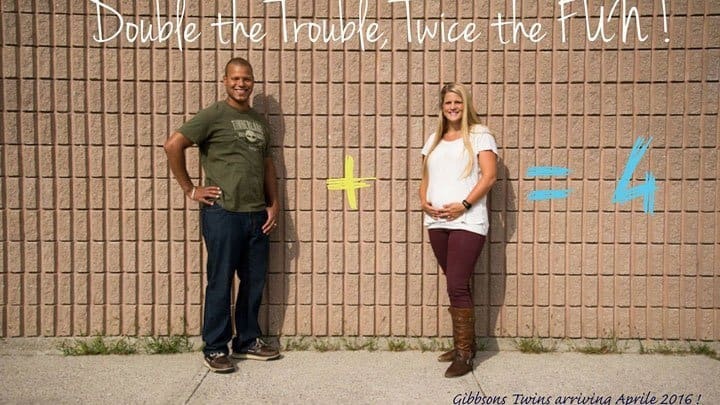 Look at these real-life twin pregnancy announcement ideas from parents of twins. 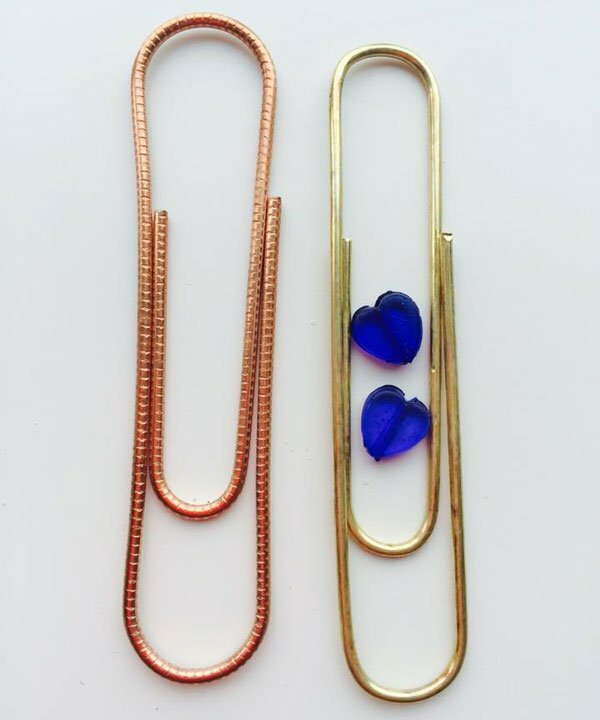 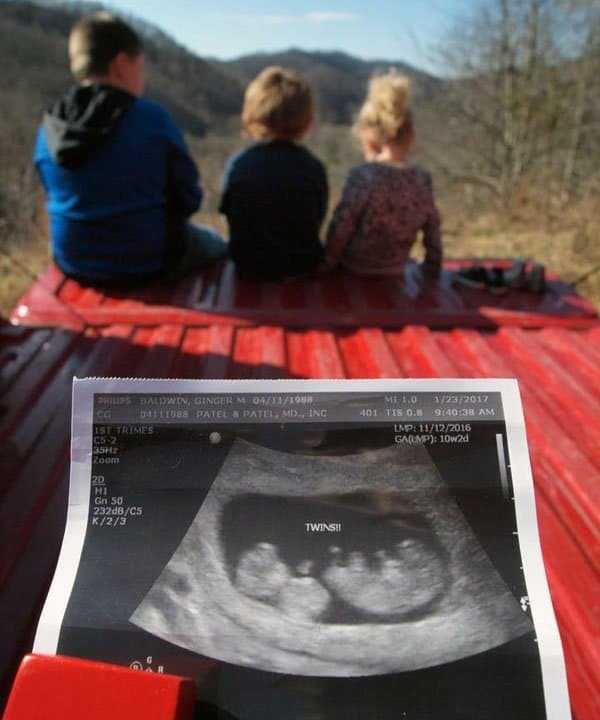 If you’d like to share how you revealed your twin pregnancy, we’d love to know. 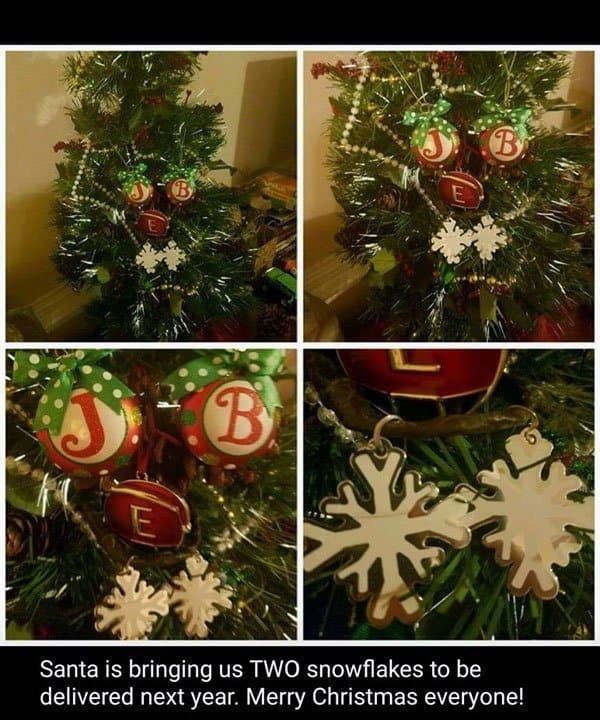 Please e-mail us, and let us know how you did it. 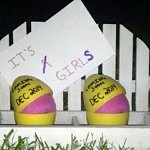 If you’re thinking about how to announce the gender of your twins, please have a look at our twin gender reveal ideas. 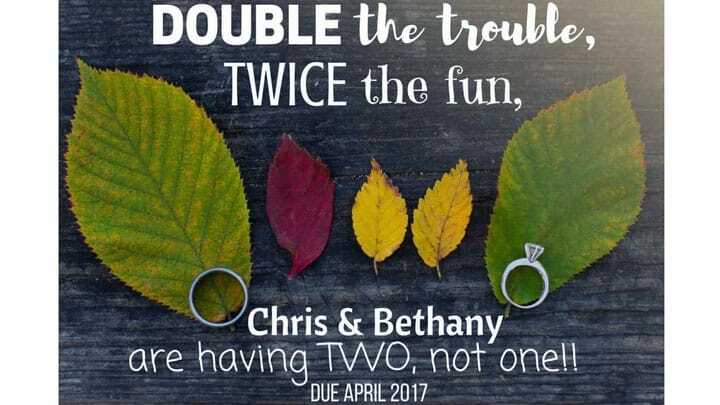 A cute way of doing a twin pregnancy announcement is to make or use twin poems or quotes. 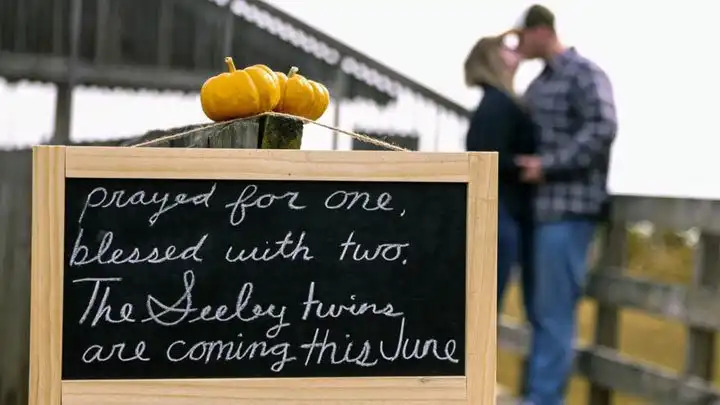 Have a look at how other soon-to-be twin parents chose to announce their twin pregnancy. 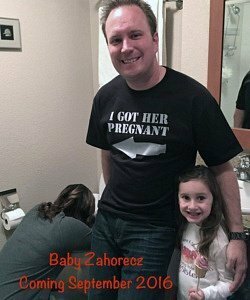 There are many funny and sweet twin pregnancy announcement shirts, you can get for yourself or your family. 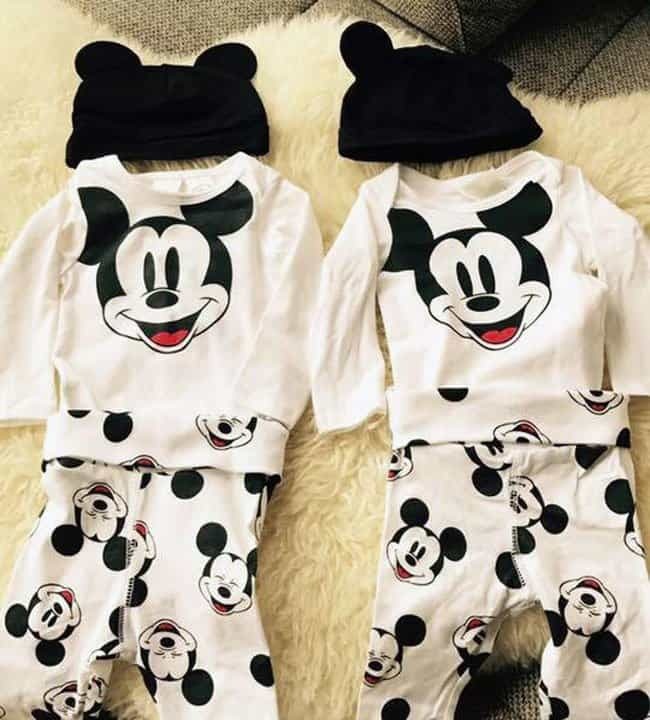 Some also choose to buy clothing for their twins such as onesies, which the babies will be able to use once they’re born. 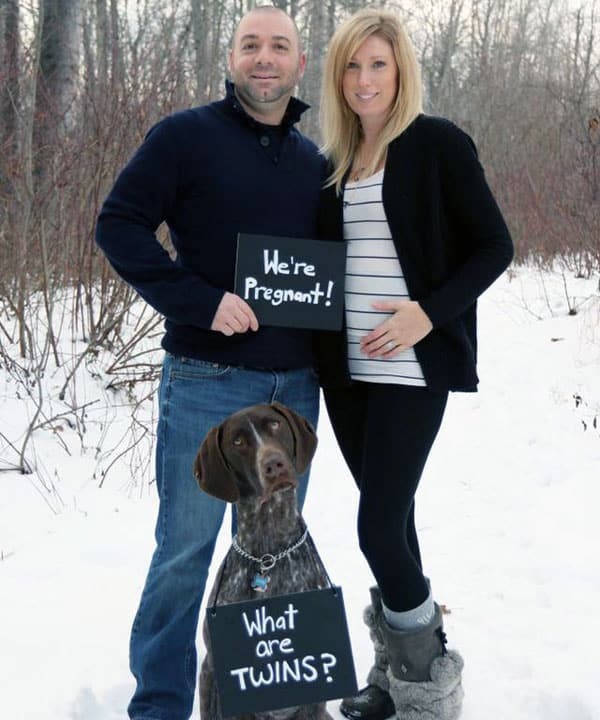 The families take a picture of the clothes, and use the picture for the twin pregnancy announcement. 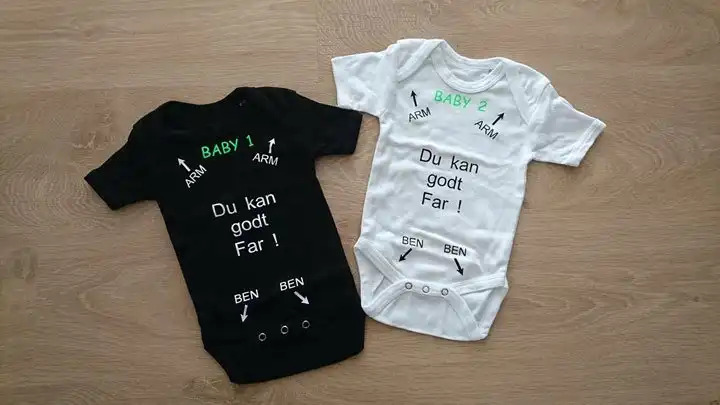 The onesies say “you can do it daddy” and arrows are showing where the arms and legs are supposed to go. 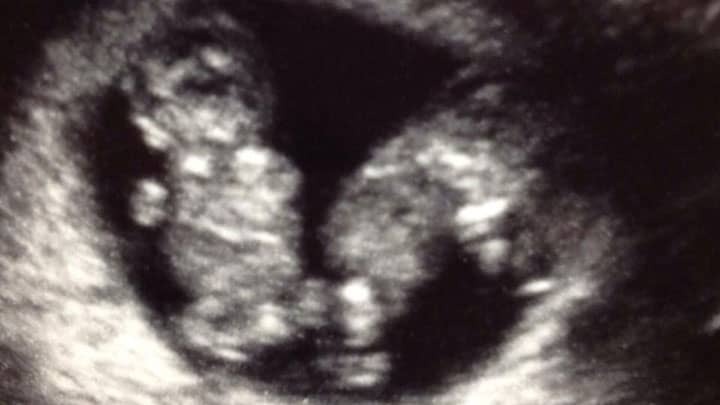 They were shown to family and friends together with an ultrasound picture. 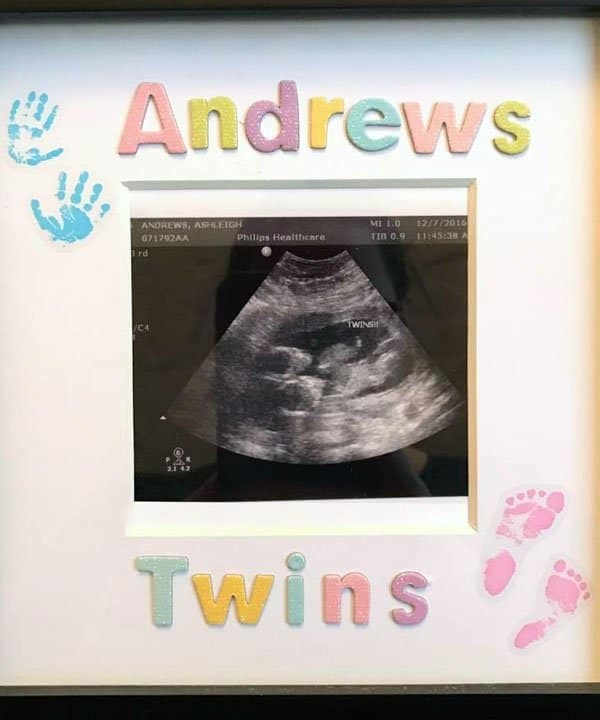 You can use a drawing or an ultrasound scan picture of your twins to let the world know in a cute and personal way that you’re expecting two babies. 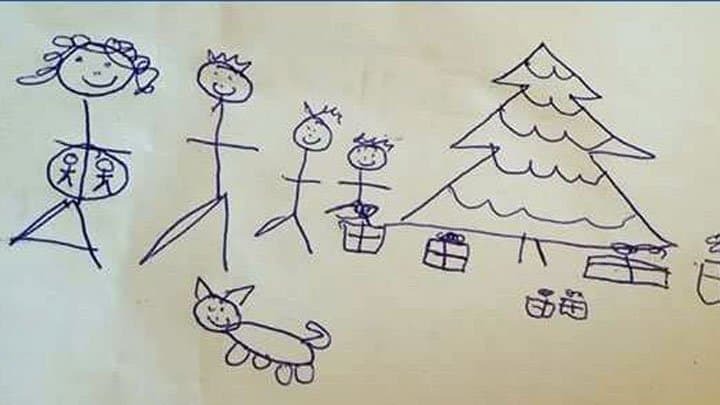 This drawing was made by the family’s two sons and was sent to the extended family. 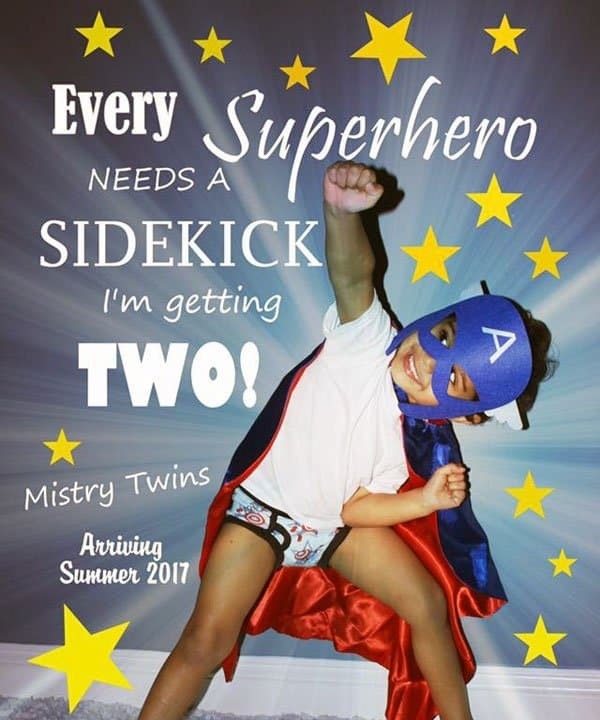 Many soon-to-be parents of twins choose to do a twin pregnancy annocement picture where friends and families need to figure out the message. 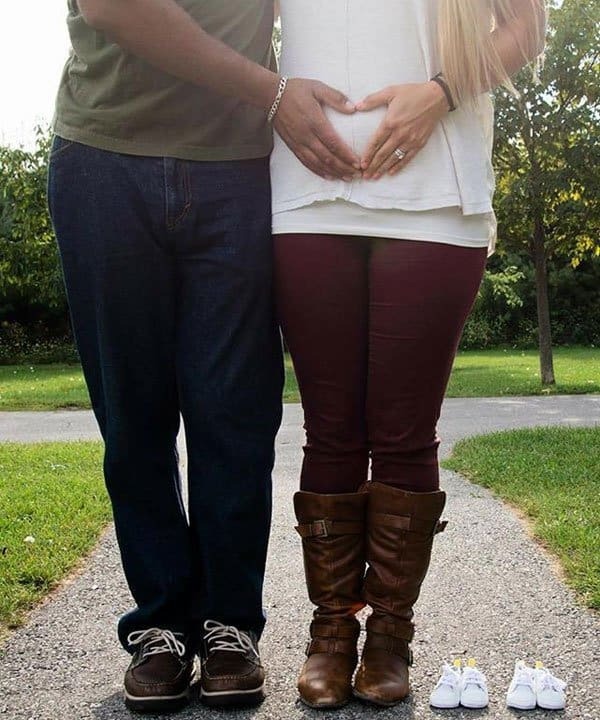 Look at how these creative couples announced their twin pregnancies. 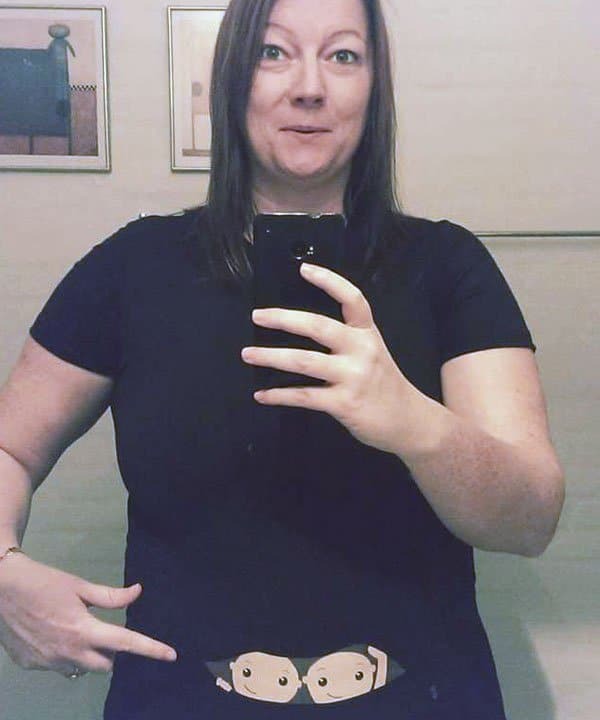 The mother was very sick with hyperemesis gravidarum. 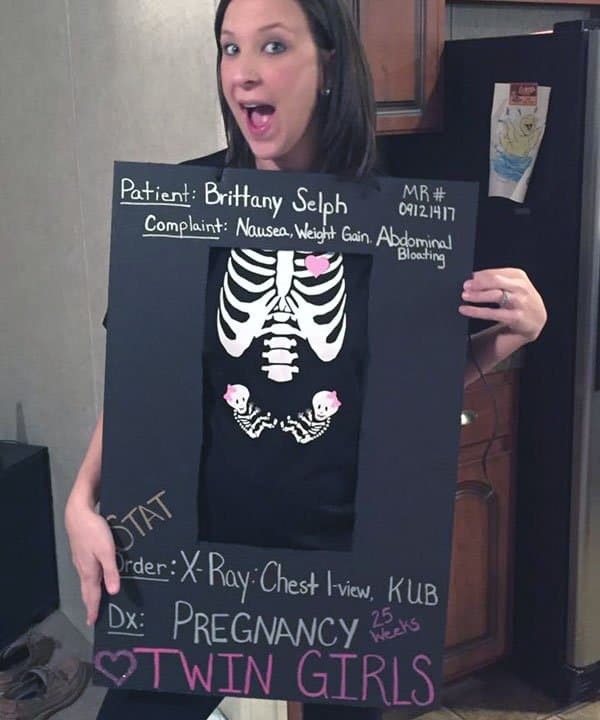 She had to be in the hospital for a month. 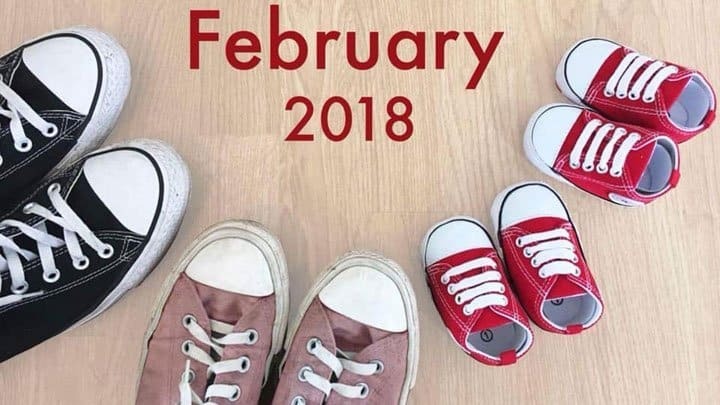 It was getting very hard to hide the pregnancy, so they decided to do their twin pregnancy announcement from the hospital. 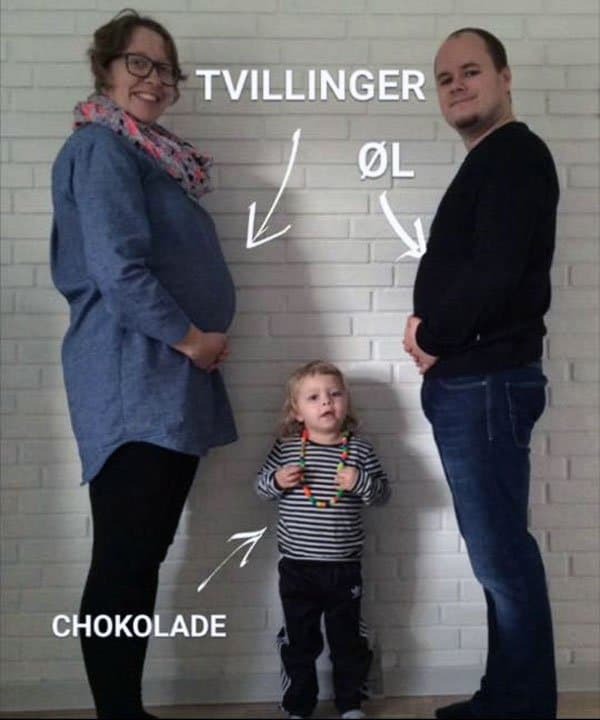 This picture was published on Facebook. 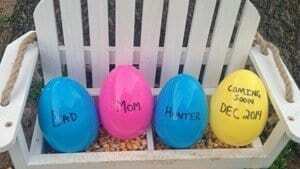 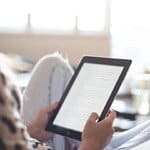 For most – apart from the immediate family and friends – there were multiple surprises in store. 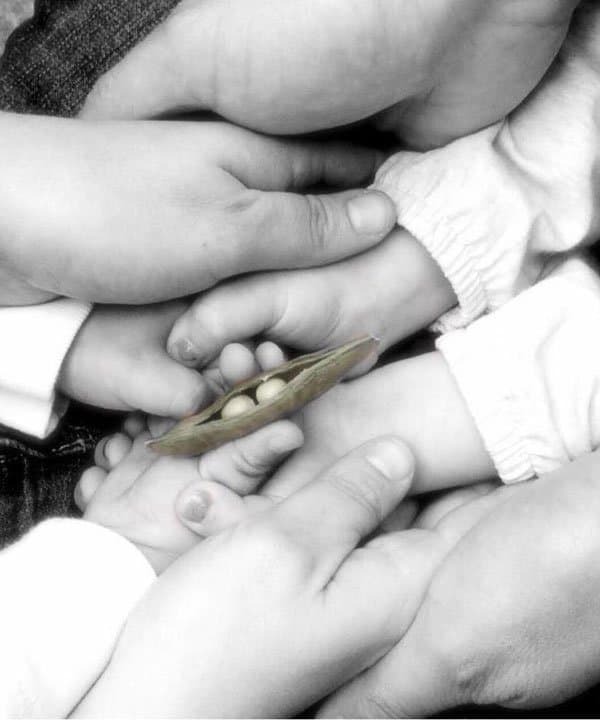 The mother was single when she became pregnant with twins by a donor. 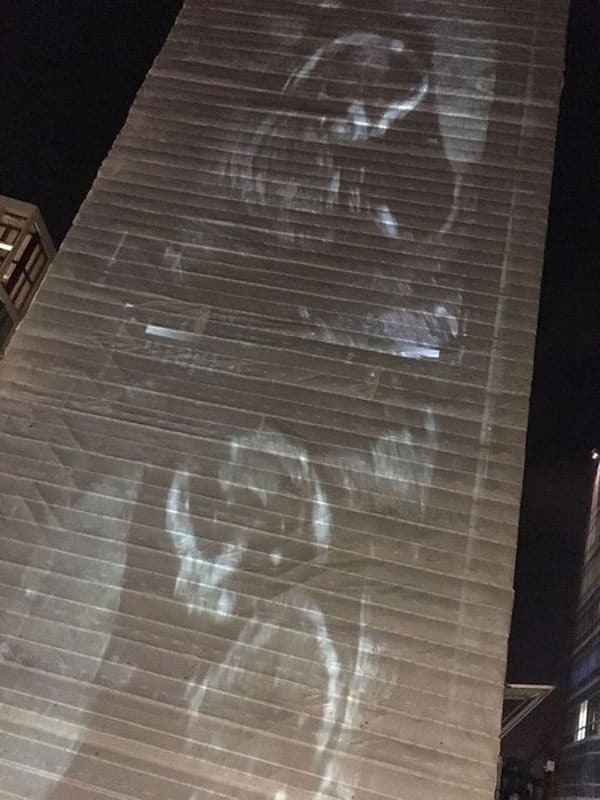 This family had their twin ultrasound scan picture projected onto a building in London. 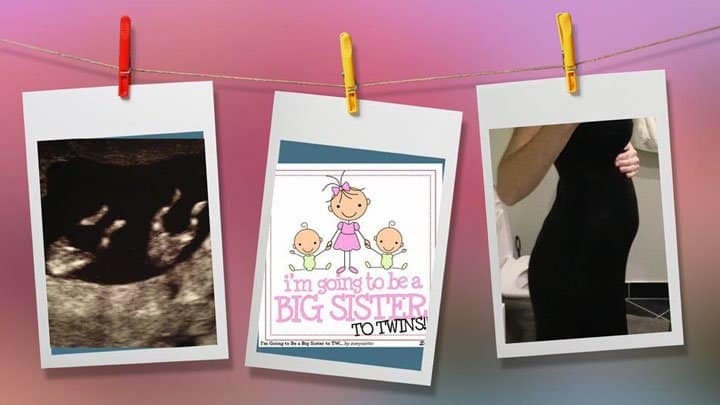 Letting siblings help with the twin pregnancy announcement can be a great way to bond with them over the new pregnancy. 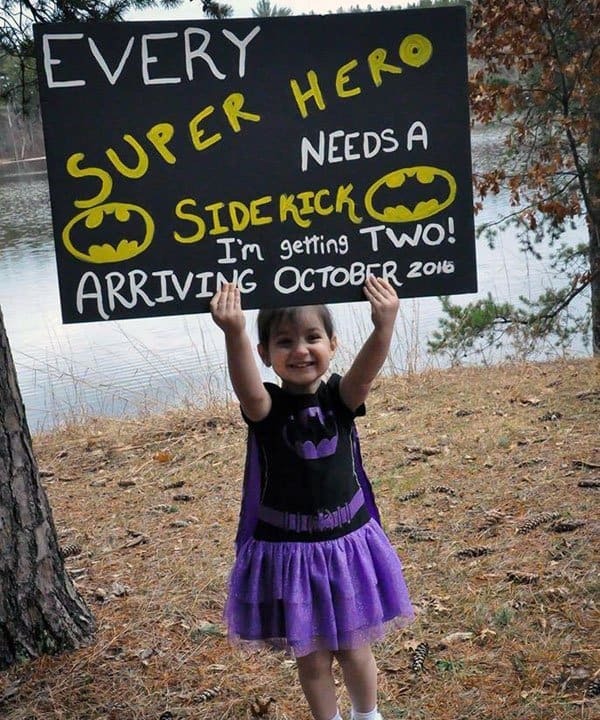 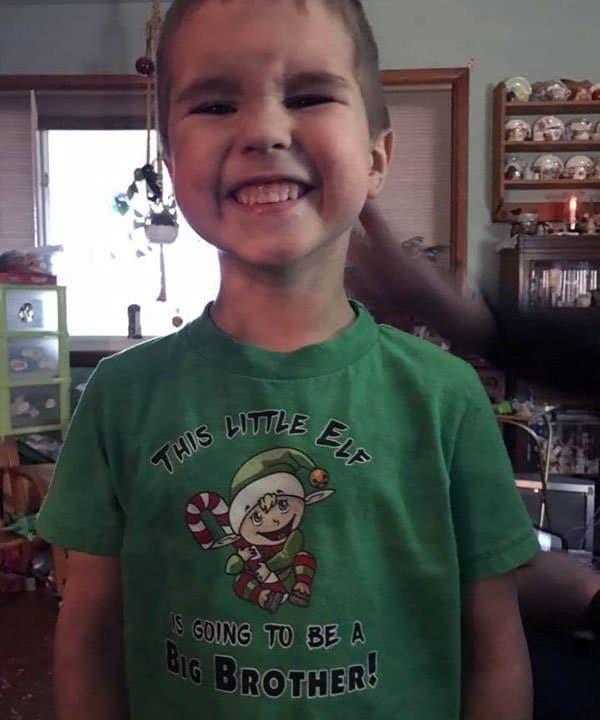 Many children will think it’s funny to be included when surprising people with the big news. 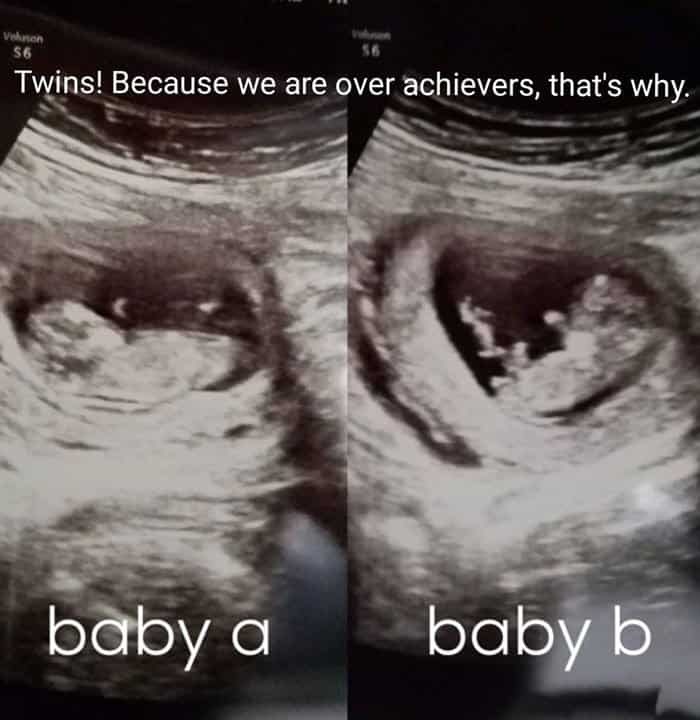 This family had twins twice. 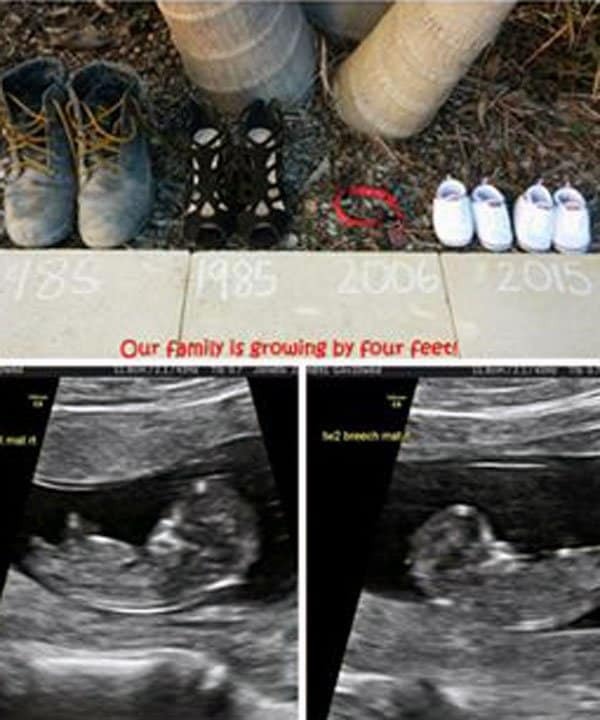 In the first picture the family put ‘two buns in the oven” for their first set of twins. 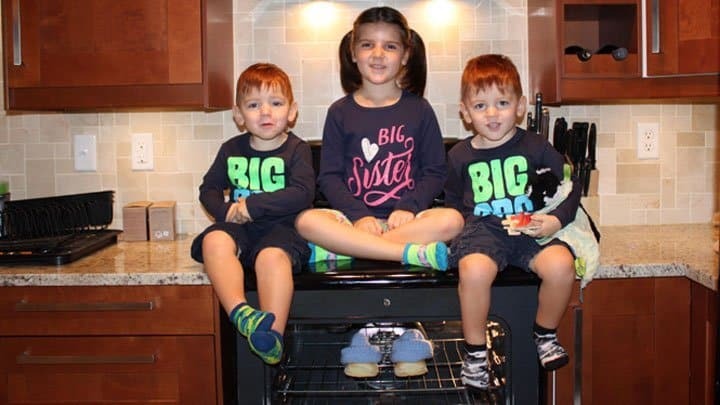 When they got pregnant with another set, they put their three older kids on top of the oven like they were done, and two more buns in the oven again. 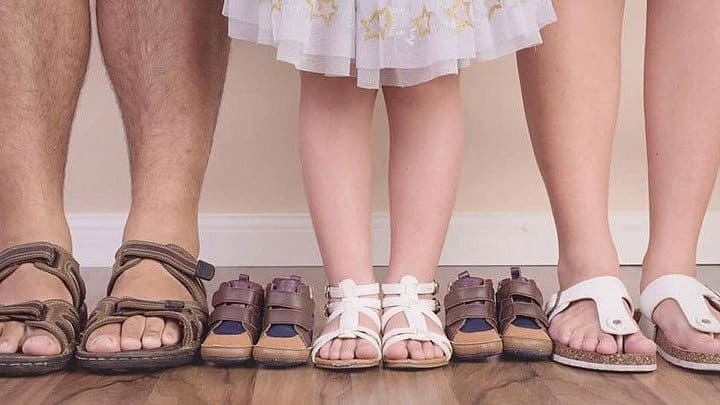 When this family did their twin pregnancy announcement on Facebook their daughter was 2,5 years old (in the picture to the left). 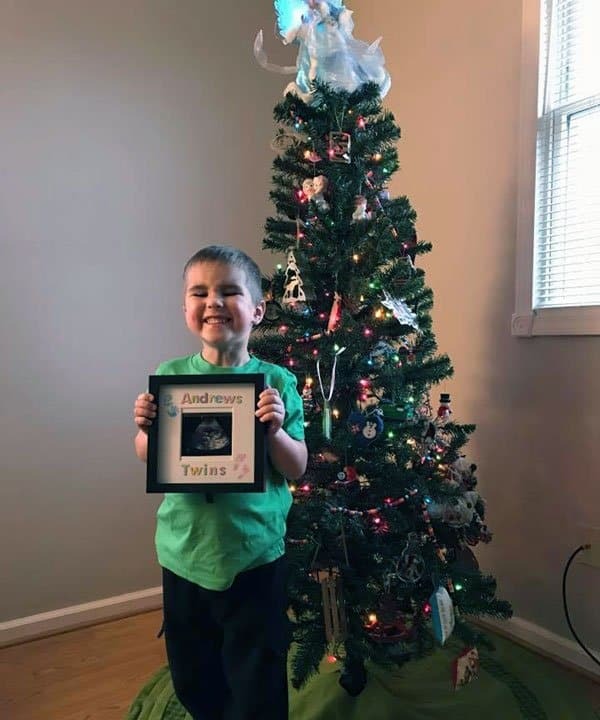 When they were expecting child number 4, they took a similar picture and gave it to the extended family as a Christmas gift. 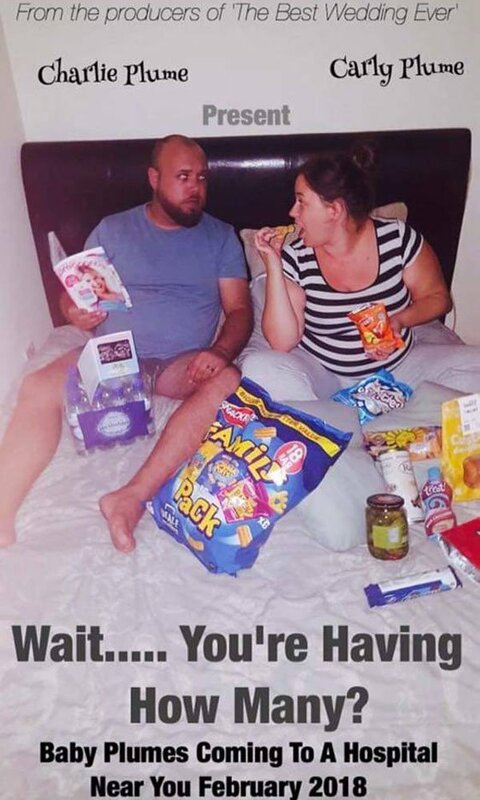 This picture was used as a twin pregnancy announcement on Facebook. 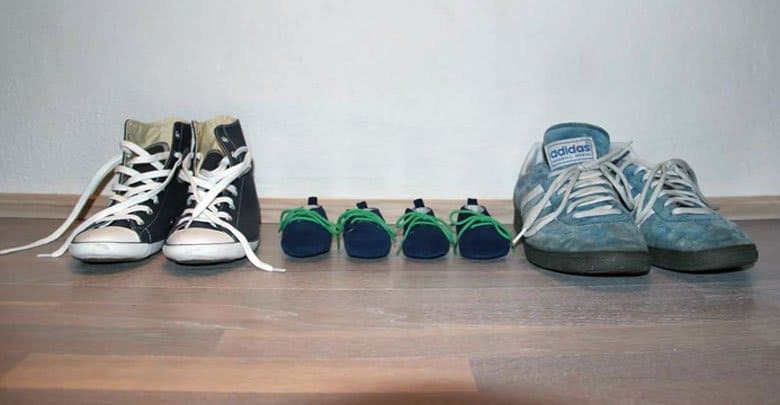 The mother was single and became pregnant by donor. 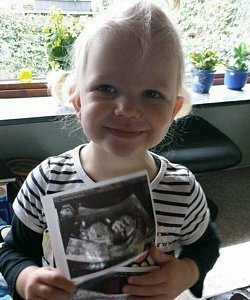 She was inseminated with three eggs and felt two eggs attaching to the uterine lining. 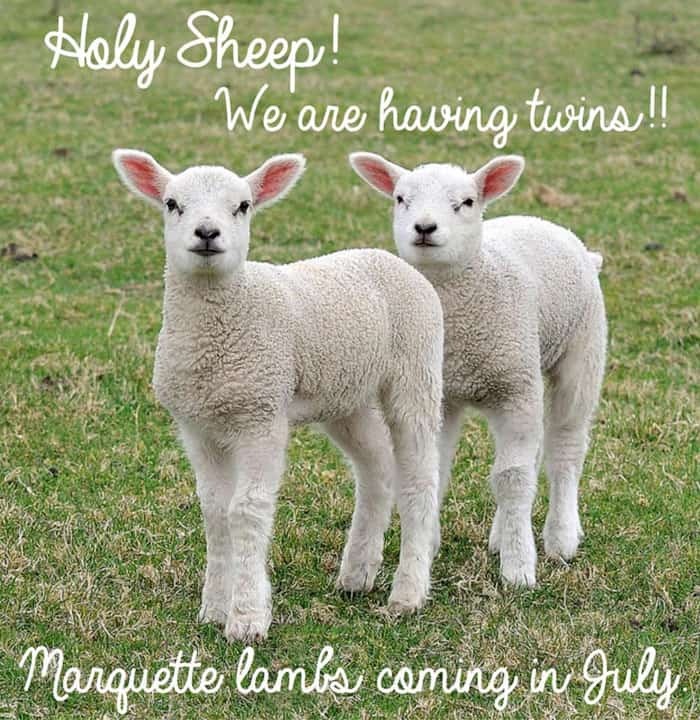 She wasn’t surprised to learn that she was having twins. 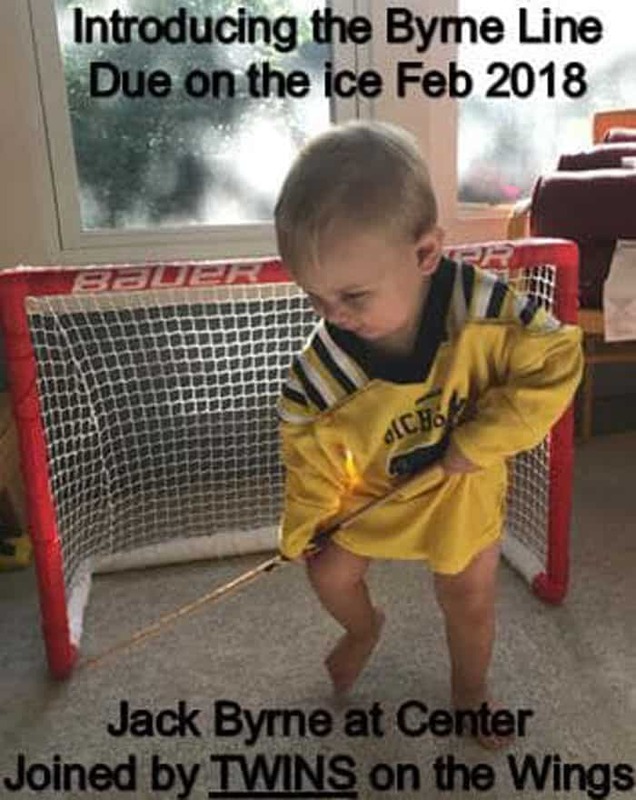 This hockey family announced the arrival of their mo-di twin boys with this twin pregnancy announcement picture. 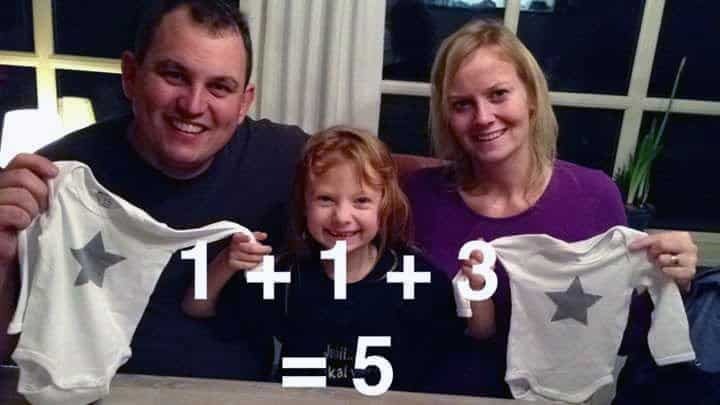 The picture to the left was used when this family found out that they were having a baby. 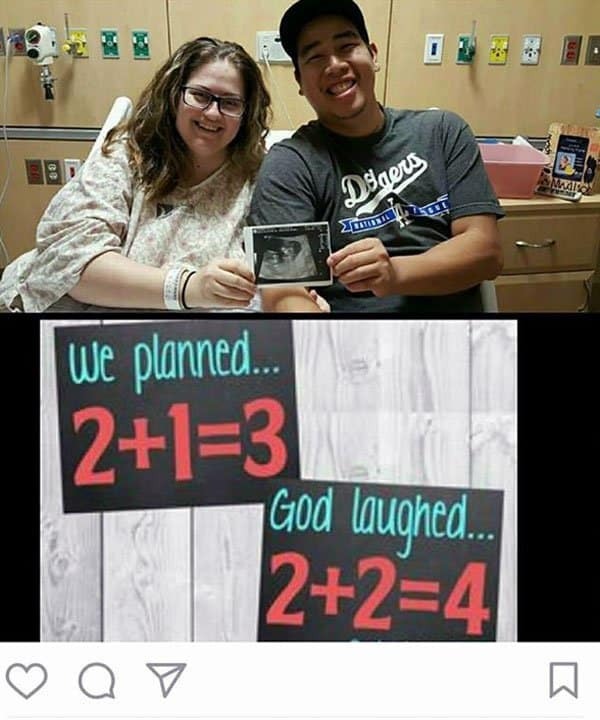 The second picture is when they found out they were having twins. 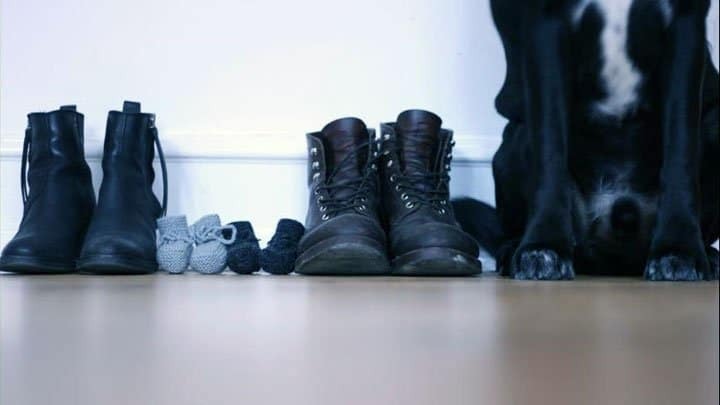 This family wanted one last child and got two. 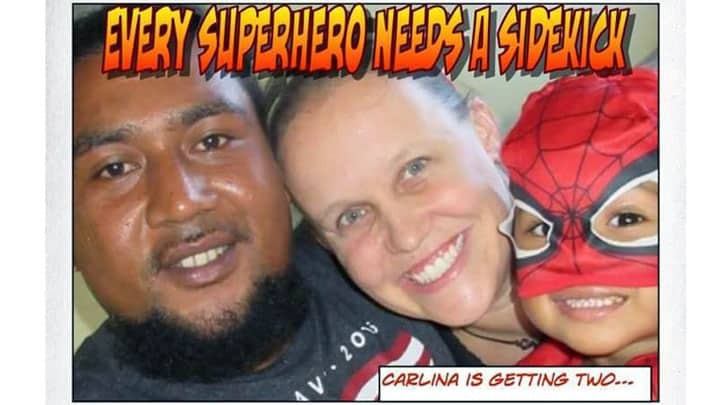 They have three children from previous relationships on both sides. 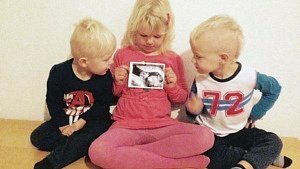 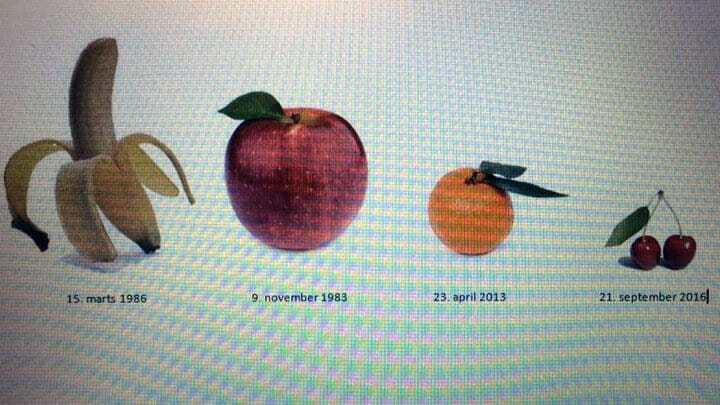 The older children were 26, 19 and 9 years old at the time of the twin pregnancy announcement. 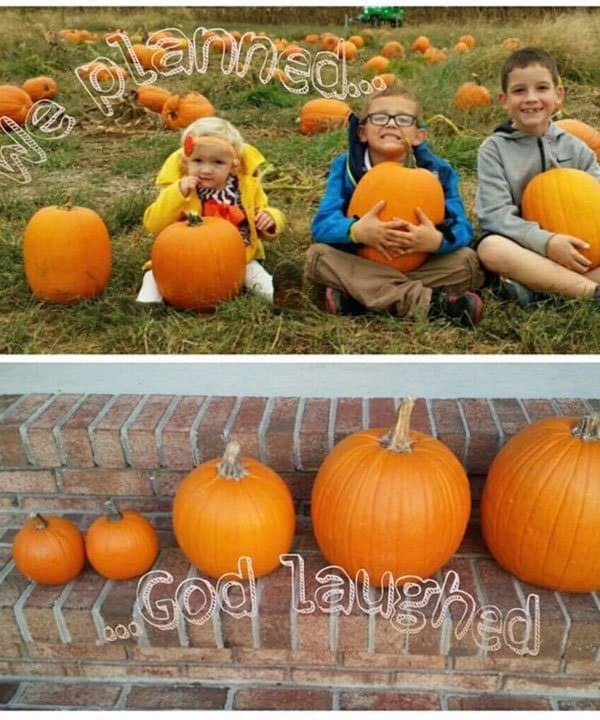 The picture at the pumpkin patch was used as a pregnancy announcement. 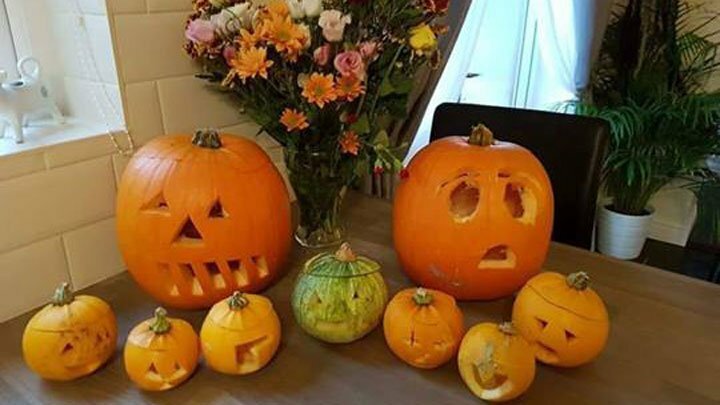 The family had no idea at the time that they would need an extra pumpkin. 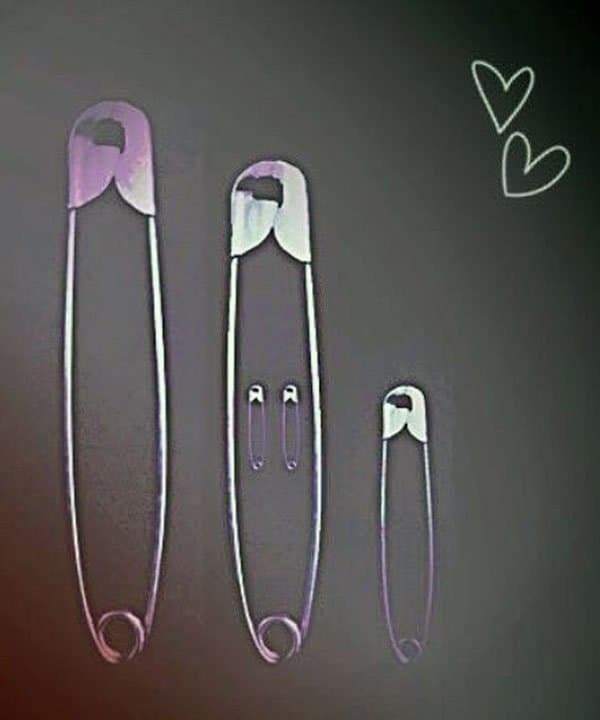 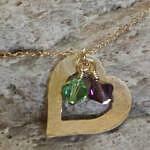 You can see the mother and father’s initials as well as their daughter. 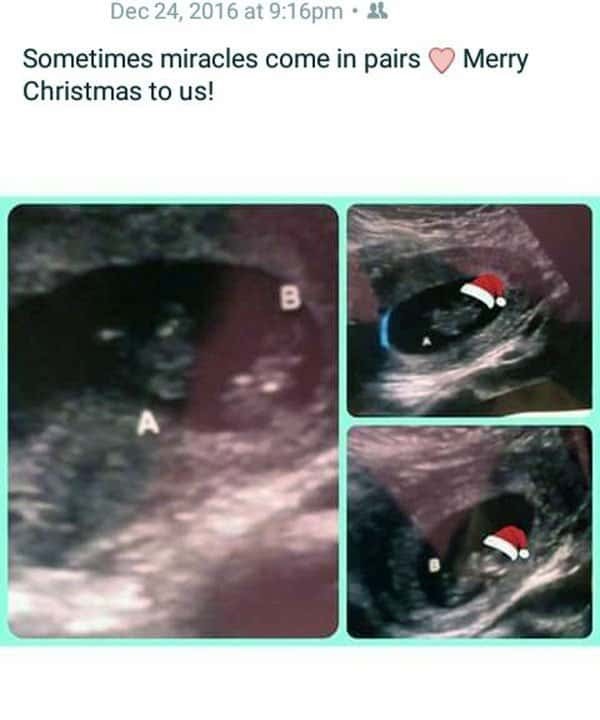 The two snowflakes symbolize the twin babies. 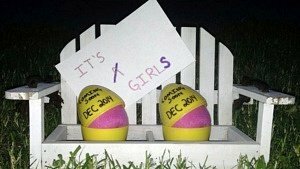 A mini chalkboard was added to the frame for a countdown/week tracker for the grandparents. 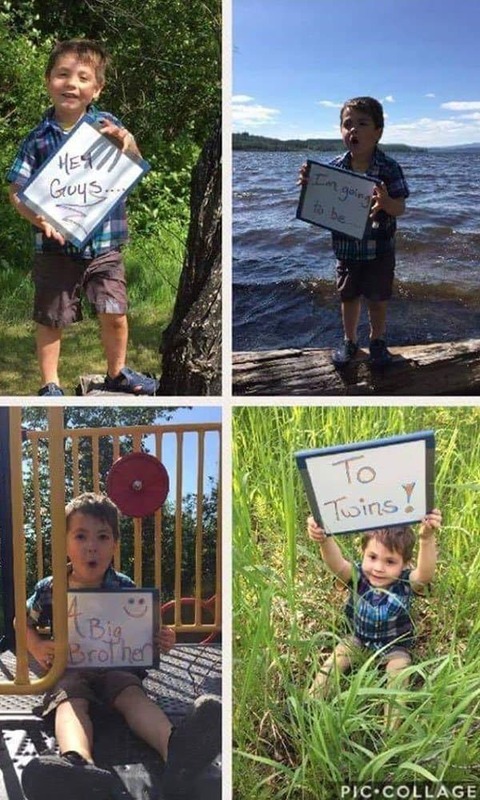 Pregnancy announcement picture followed by a twin pregnancy announcement / twin gender reveal picture. A popular way of making a twin pregnancy announcement is to take a picture of the family’s feet, and add two sets of baby shoes for the new twins.